SpaceX took another step toward the International Space Station today with a successful static test of its Falcon 9 engines. We previously reported that registration the First Interplanetary CubeSat Workshop, scheduled to take place May 29-30 in Cambridge MA, had filled up. There’s good news for people who still want to attend. Although the main auditorium is full, conference organizers have set up a second room with a video link. (They are calling it, appropriately enough, the satellite room.) Registration for the satellite room is being discounted to $150 ($37.50 for students) for those who register by May 1. Click here to register. There are also plans to provide a live video stream of the event for those who cannot attend. It’s great to see the planetary-science community is once again taking a strong interest in low-cost missions. With NASA’s budget situation getting worse every year, CubeSats might be the salvation of the planetary-science program. A team of 20 scientists, led by astrobiologist Dirk Schulze-Makuch of Washington State University, wants to send a fleet of sensor packages to Mars. The mission is called Biological Oxidant and Life Detection or BOLD. Dr. Schulze-Makuch said, “We really want to address the big questions on Mars and not fiddle around.” With money for space science drying up, Schulze-Makuch says NASA needs to get exciting results that interest not only scientists but the general public as well. While Planetary Resources was preparing to announce its plans to capture an asteroid, Moon Express announced progress on its $10-million Innovative Lunar Demonstration Data Program (ILDD) contract with NASA and reminded us of its plans to prospect and mine the Moon for metals and water deposited by millions of years of asteroid bombardment. Moon Express, a contender for the Google Lunar X Prize, has just delivered a Preliminary Design Checkpoint Technical Package to NASA. The package, one in a series of ILDD deliverables, contains details of mission operations, spacecraft development, payload accommodations, and planetary-protection plans. Silicon Valley-based Moon Express was one of three US companies to receive contracts the ILDD program in 2010. Although the ILDD contract demonstrates NASA’s interest in commercial lunar providers, the majority of Moon Express funding comes from private investors and revenues from payload customers. Dr. David Grinspoon, who is training to be a suborbital scientist-astronaut, has been named as the first Baruch S. Blumberg NASA/Library of Congress Chair in Astrobiology. The chair is a joint project of the NASA Astrobiology Institute and the John W. Kluge Center at the Library of Congress. Grinspoon is the curator of astrobiology in the Department of Space Sciences at the Denver Museum of Nature & Science. He is a well-known researcher in planetary science and the author of Lonely Planets: The Natural Philosophy of Alien Life. Grinspoon is also a founding member of the Suborbital Applications Researchers Group (SARG), a group of 12 scientists who are training to be scientist astronauts on commercial suborbital vehicles. SARG is headed by Dr. Alan Stern of the Southwest Research Institute, a space scientist who previously served as Associate Administrator for Science at NASA Headquarters. SARG also serves as a coordination and advisory committee of the Commercial Spaceflight Federation. We recently reported on NASA’s plans to fly low-cost satellites based on consumer smartphones. NASA plans to fly three PhoneSats based on Nexus One smartphone and Android operating system in 2012. In 2013, it plans to launch a constellation of 14-20 Ethersats, based on the Nexus One satellite bus that’s being tested on PhoneSat missions. This isn’t the first time NASA has flown Android smartphones in space, however. In 2011, the SPHERES robots aboard the International Space Station were upgraded to use Nexus S smartphones. NASA modified the phones by removing the GSM cellular communications chip to avoid interference with ISS electronics, so the phones are permanently in airplane mode, and replaced the standard lithium-ion battery with AA alkaline batteries. Smartphone processors are 10-100 times faster than the radiation-hardened chips normally found in space systems, so the new brain provides a significant upgrade to the robots’ capabilities. NASA astronauts have also used the Apple iPhone 4s, running a custom app called Spacelab for iOS developed by Odyssey Space Research. Citizen scientists who want to experiment with the Spacelab for iOS app can download it from the iTunes App Store for $0.99. The app that’s available on iTunes is identical to the version that was flown to ISS on the last flight of the Space Shuttle Atlantis, the same flight that carried the Nexus S smartphones for SPHERES. The Spacelab for iOS app contains a gravity check that allows ground-based users to perform simulated experiments that mimic the tasks and objectives of the flight experiments. NASA Ames Research Center continues work on its PhoneSat project, which is demonstrating the ability to build very-low-cost satellites using Android smartphones as processors. Ames has built two versions of the PhoneSat – PhoneSat 1, which costs about $3500, and PhoneSat 2, which costs just under $8,000. Both versions are based on HTC Nexus One smartphones. The first PhoneSats are scheduled to be launched aboard an Orbital Sciences Corporation Antares launch vehicle. The launch, funded under the Commercial Orbital Transportation Services (COTS) program, is scheduled for the third quarter of 2012. It will carry two PhoneSat 1 satellites and one PhoneSat 2. A second PhoneSat launch is expected to occur in 2013. PhoneSat isn’t just about cost-cutting, though. Engineers are not sacrificing power for the sake of economy. Quite the contrary. Thanks to the rapid advance of consumer electronics, cell phones have become powerful supercomputers. The Nexus One processor will be 10-100x more powerful than any other processor that’s flown in space. After the tech demo flights, the PhoneSat bus will serve as the basis for future low-cost satellite missions, beginning with the Ethersat mission that’s scheduled for launch in mid-2013. Sponsored by the NASA Office of the Chief Technologist, Ethersat will be a constellation of fourteen CubeSats, with an option for six additional satellites. EtherSat will demonstrate advanced cross-link and down-link communications, attitude control, and other emerging technologies. Such constellations are expected to have applicability to future earth-science and military missions. Ethersat is funded under the Edison Small Satellite Demonstration Program. In addition to the Nexus One, the PhoneSat contains an Arduino board. Low-cost satellites generally avoid using radiation-hardened (“rad hard”) electronics, due to the expensive. A single rad-hard processor can cost $400,000. Instead, they have watchdog systems (in this case, the open-source Arduino board) to reboot the main processor if it crashes due to a radiation event. 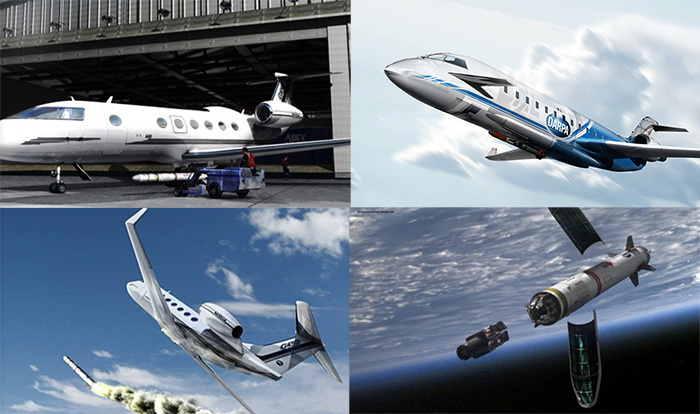 Airborne Launch Assist Space Access (ALASA) is a project of the Defense Advanced Research Projects Agency (DARPA). It is headed by Mitchell Burnside Clapp, a long-time advocate of air launch and winged systems. Burnside Clapp was one of the founders of Pioneer Rocketplane, which later became Rocketplane, LLC. ALASA seeks to address military concerns with traditional ground-launched systems. The military views these systems as costly due to high manpower requirements at fixed facilities, sluggish due to the need to reconfigure pads between launches, rigid due to limitations on launch azimuth launch times, and brittle because they are vulnerable to weather, earthquake, tsunamis, and enemy attack. DARPA believes that air launched systems will be more affordable, more responsive (the goal is one day from call-up to launch), more flexible (any orbit, any time), and more resilient. Like NASA’s Nanosatellite Launch Challenge, ALASA hopes to develop a reliable, cost-effective launcher for small satellites. DARPA’s definition of “small” is a bit different, though. The NASA challenge is targeting CubeSat-sized payloads up to one kilogram. ALASA wants to develop a system that can put up to 100 pounds (45 kilograms) into Low Earth Orbit. That would apparently rule out systems like the GO Launcher, for example. Generation Orbit is a new subsidiary of SpaceWorks Engineering. Headed by SpaceWorks veteran A.C. Charania, Generation Orbit plans to develop an air-launch system for nanosatellites. Generation Orbit estimates there are 250 nanosatellite projects at the present time. It expects that there will be a market for 100 nano satellite launches per year by the end of this decade. Currently, most small satellites are launched as secondary payloads on rideshare missions, which means their operators have little or no control over launch schedule and orbital destination. Generation Orbit believes that air launch will provide more flexibility. The company’s initial demonstrator, GO Launcher 1, would use existing solid-fueled upper stages. Go Launcher 1 could mature into an operational capability capable of delivering 1-10 kilograms to a 250-kilometer circular orbit. 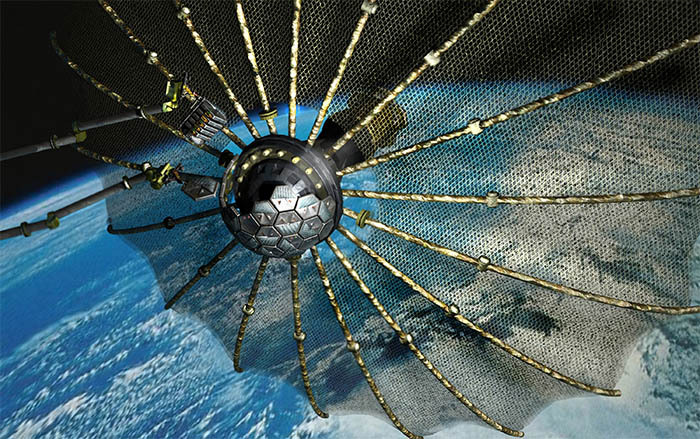 GO Launcher 2 would be a larger system capable of placing 20-30 kilograms into a 450 km circular orbit. It might incorporate new technology. Generation Orbit’s conceptual design appears quite open at the present time. 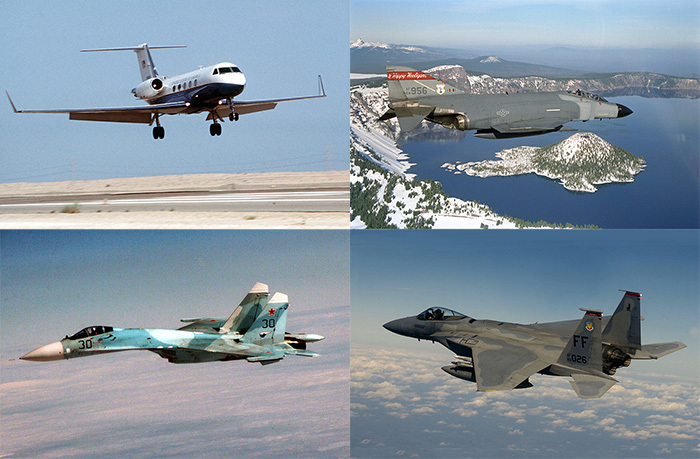 The company’s website shows potential concepts based on the McDonnell Douglas F-4 Phantom II and F-15D Eagle, the Sukhoi Su-27 Flanker, and a Gulfstream II or III business jet. The F-15 option parallels a future concept being studied at at Premier Space Systems. The Su-27 option might seem odd choice, given that Generation Orbit intends to operate in the US. The company hopes to fly from a variety of launch sites including the NASA Wallops Flight Facility in Virginia, NASA Dryden Flight Research Center in California, Kennedy Space Center, and Cecil Field Spaceport in Jacksonville, Florida. There is at least one operation Su-27 in the United States at the present time, however. Reliable sources tell us that the registered owner is actually a dummy company owned by Microsoft billionaire Paul Allen. There is no reason to believe he’s involved with Generation Orbit, however. By coincidence, Paul Allen is also has an interest in air-launch projects, having financed the development of SpaceShip One and being the founder of Stratolaunch. A.C. Charania has participated in workshops for NASA’s Nanosatellite Launch Challenge, so it seems a safe bet that Generation Orbit intends to compete for that prize. Nanoracks has a new product: an external platform that allows customers to place small payloads on the exterior of the International Space Station. At the recent CubeSat Developer’s Workshop at Cal Poly, we heard a rumor that somebody had launched a CubeSat made from Legos. Unfortunately, the Lego-1 CubeSat appears to be a hoax – an April Fool’s joke. Although no one has yet built a CubeSat structure out of Legos yet, a team of International Space University students at NASA Ames Research Center did build a prototype satellite that uses Lego NXT electronics. It made the cover of Make magazine in October 2010. We hope someone does build a CubeSat out of Legos soon, though, because. Just because.